1. The issue cannot be a theological “To be or not to be”, i.e. ontology or no ontology. The question is what kind of theological ontology corresponds to revelation, God's self-disclosure in Christ, in the Bible. 2. Bruce McCormack posits the options as “essentialist” ontology (Molnar, Hunsinger, Hunsinger’s reading of Barth) and “actualist” ontology (Jenson, McCormack, McCormack’s reading of Barth). 3. The test case is the logos asarkos. Molnar and Hunsinger – and Paul Helm – insist on it. They are good Niceans – and good Calvinists (cf. the extra Calvinisticum). But by the way, if it is true that the ecumenical road ahead must always return to the town in Turkey, Reformed theologians, at least, cannot make the trip empty-handed – for example, over the issue of bishops as the esse of the church. Why, then, can we not affirm the Creed while arguing against a hegemonic ontology? 4. Barth, however, rejects the venerable theologoumenon of the logos asarkos, as an instrinsic part of his revolutionary de- and re-construction of Calvin’s doctrine of election. So I do not see how Barth can be in George Hunsinger’s corner as he fights for the logos asarkos. If he is right, then Barth is wrong. But then perhaps Barth, like Luther’s scripture, has a wax nose. 6. But this (if you like) temporal parity between the logos ensarkos and the logos asarkos, on which Calvin and Barth (and I suppose all concerned) agree, doesn’t it rather put the concept of “logical priority” out of a job? That, I think, is Barth’s conclusion. He thinks that the eternal Agent cannot be separated from his temporal Actions, that the narrative plot of Jesus of Nazareth cannot be separated from the character of the eternal Word, that the incarnation has implications for election, and election has implications for the divine being. But if that is so, what “work” can “logical priority” now possibly do except perhaps to help one live at peace with Aristotle – not something Barth would lose sleep over – while yet turning the Logos (the Son) into an indeterminate abstraction? 7. Okay, that’s not fair. The intention of the doctrine of the logos asarkos is to preserve God’s aseity, I know. But name me a theologian who was touchier about the divine freedom than Barth, who yet concluded that this the doctrine is a “fatal speculation”, a verbo incognito? And what kind of freedom is the doctrine trying to protect? The deity’s decision to elect or not to elect humanity, to enflesh or not to enflesh in Jesus? But what – is God (in Barth’s famous image) Hercules at the crossroads? Only an ontological actualism, I suggest, preserves the freedom of God, which is not a freedom from but a freedom for – for human beings. 8. To put it another way, what might the logos asarkos conceivably look like? Can it not only look like Jesus – who is the logos ensarkos, “the man for others” (Bonhoeffer)? Is it not therefore an otiose category? If we must speak of a logos asarkos, it can only be as a gerund – “the Logos is incarnandus in and for himself, in eternity” (McCormack); and the logos ensarkos cannot be thought of as either contingent or instrumental. Now that would be adoptionism. 9. Ben, I think, is right that the resurrection on the third day, empty tomb and all, must be the determinative category in the structuring of a sound theology. However, I don’t want to drive a wedge between the incarnation and the resurrection. And I would certainly not want to separate the resurrection from the crucifixion. Indeed is not the cross the real furnace for reshaping an ontology of God (e.g. 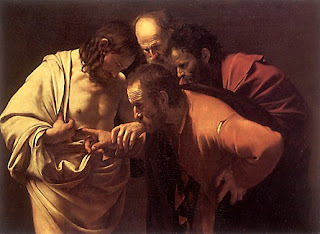 on the divine impassibility), the risen One having a hole in his side and scars on his hands? The suggestion about referring to the “Christ event” might be helpful. But there is no doubt that the resurrection of Jesus as the event’s apocalyptic Event requires radical metaphysical repositioning in that we must think of reality as determined by the eschatological future revealed in the apocalyptic Event of c. AD 30 and made present through the Spirit of the risen and coming One – and think all that back into God. 10. But haven’t I collapsed the immanent Trinity into the economic Trinity? Okay, so sue me. But I advise the prosecution that I’ll be calling the incarnate, crucified and risen One as a witness. Of course there are problems with this account, not least Hegelian problems – Robert Jenson famously wrote that “Hegel’s only real fault was that he confused himself with the last judge, but that is quite a fault” – but Hegel’s own problem was not that he was too historical but that he was not historical enough, failing to focus rigorously on the concrete history of Jesus. I also admire Molnar and Hunsinger as awesome thinkers. But I’ll humbly take my problems to theirs. In any case, who expects closure on this one? It’ll run and run. 3. There is absolutely no way to reconcile these statements with the idea that the second person of the Trinity was somehow “constituted” by his incarnation or by his being raised from the dead. To suppose otherwise would be sheer fantasy. 5. I do not now, nor have I ever, subscribed to an “essentialist” ontology. The reason is that I have never subscribed to any ontology, whether “essentialist”, “actualist” or otherwise. 6. Following Barth, however, I do affirm that God’s being is in act. I believe that for Barth the terms “being” and “act” are both logically basic, and that for him neither is derived from the other, and that neither is privileged in relation to the other. 7. No doubt can exist that Barth never rejected the idea of the logos asarkos. He in fact never rejected it. 8. He explicitly affirms it, for example, at KD IV/1, pp. 54-56 (ET pp. 52-53). His point in this passage is largely noetic. While assuming the persistence precisely of a logos asarkos, he denies that we can have, do have, or would need to have any access to it apart from the logos ensarkos. In having noetic access to the logos ensarkos, he argues, we have access to the logos as it truly is, both for us and in and for itself. There is no logos asarkos alongside or behind the logos ensarkos that we should seek to gain independent access to. 9. “In the history of Jesus, we have to do with the reality which underlies and precedes all other reality as the first and eternal Word of God [dass wir in der ‘Jesusgeschichte’ mit der Wirklichkeit zu tun haben, die als Gottes erstes und ewiges Wort aller anderen Wirklichkeit zu zugrunde liegt und vorangeht]” (KD IV/1, p. 55, ET p. 53). No amount of tortured exegesis can make these statements (and scores of similar statements) by Barth mean that he does not see the eternal Word of God as logically and ontologically prior to all other reality, including Christ’s Incarnation and Resurrection. 10. From an ecumenical point of view, all “post-metaphysical” or “actualistic” attempts to deny the logical and ontological priority of the eternal Son (along with the Father and the Holy Spirit) can only be regarded as hostile to the Nicene faith of the church. Anyone who wishes to adopt such a position is free to do so. But it has no future in any ecumenical theology or church worthy of the name.